Courtesy of Brookfield Residential, James Vangelder. New Brookfield Residential 2-story home with 5 bedrooms – one on the main level, 3 bathrooms, formal dining room, kitchen nook eating area, and a partial unfinished basement with rough-in plumbing. Bosch stainless steel appliances, 3-car garage, wood railing, great room fireplace, barbecue gas line to the backyard deck, front yard landscaping with sprinkler system, and a garage service door- fully fenced yard. Lake views from front covered patio. Driving directions: I-25 north to exit 240, exit right on Highway 119 heading east, then immediate left at Frontage Road (at first light), turn right on Barefoot Lakes Parkway. Follow the signs to Brookfield Residential model home at 4770 Lakeside Drive, Firestone, CO. Please, send me more information on this property: MLS# 845485 – $564,900 – 12503 Shore View Dr, Firestone, CO 80504. 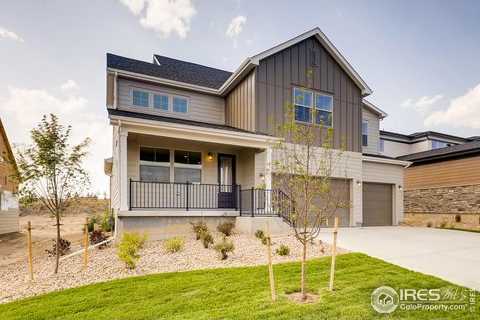 I would like to schedule a showing appointment for this property: MLS# 845485 – $564,900 – 12503 Shore View Dr, Firestone, CO 80504.